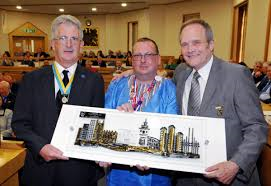 I have been Chair of BVA since October 2017 and I believe wholeheartedly in the purpose of the organisation which is “to enable and sustain a confident, resilient and vibrant voluntary and community sector within Basingstoke and Deane (B&D) that changes lives of local communities for the better”. The organisation has faced many challenges during the past year but after a full and thorough review of our organisation, I am now very confident that we are in a much better place to seize the opportunities and play to our full potential in the year ahead. With our stakeholders in mind, we refocussed our vision and strategy “Creating a better future – the next 5 years” 2018-23.
a champion and innovator of voluntary action connecting communities and people across B&D. To support innovation and financial resilience. We have also reviewed our governance arrangements in line with the Charity Code of Governance which we adopted during the year. The annual report will describe in detail and “bring to life” some of the excellent work that has been ongoing through the year but in summary we have continued to work and support our members across B&D according to their needs, we have recruited and managed a number of volunteers, we run a very active and successful Basingstoke Young Carers project which is well regarded and also run the Camrose Centre which is dedicated to improving the quality of life for homeless and vulnerably housed people again to great acclaim. During all our work we constantly signpost and connect various groups together where there is positive mutual benefit. We also remain the “landlord” for the Orchard building which provides affordable office and meeting space for local groups and the community and have plans in place to ensure that we can continue to improve the services offered to our many tenants and provide value for money. Funding will continue to be a major challenge for us and all others in this sector in the future and we at BVA will need to be innovative in attracting and generating more income as we move forward. In terms of our main funders, at the beginning of the year, Hampshire County Council moved to hold a single contract with the CVS sector across Hampshire for core infrastructure funding. BVA was instrumental in facilitating these discussions and enabling an agreed way forward for 2018-19 across the sector to secure the grant funding. Community First now holds the contract and sub-contracts with BVA and other CVSs. Our funding from BDBC remains for the next year and during this year we will be actively working with them to identify priorities for the borough and secure potential future funding. We are in the last year of the 3-year Big Lottery funding for the Hampshire Young Carers scheme and are working with our partners to identify new funding streams for the future. I am grateful for the continued financial support this year however which allows us to continue providing the services we do. I thank our staff for all their hard work and perseverance through a challenging year, the many volunteers who help BVA, my fellow Trustees who have given much of their time during the year, and all our members who do great work in our communities. We saw some key changes of personnel in the year and I would like to thank Alan Turvey who stood down as Chair of Trustees in October having been a very active Trustee with BVA for over 8 years and whose contribution was enormous, Gilda McIntosh who stepped down during the year for family reasons and who also had been an active Trustee for 8 years. I would like to recognize Bridget Phelps who joined us as Interim CEO in July, after Stephen Morgan left us suddenly having been elected as an MP in the June elections, and who has conducted the most thorough of organization reviews and Frank McKenna who will be stepping down as Treasurer after this AGM. Finally, I welcome Pat Fitzsimons who joined us last month as CEO, Jan Kulagin who joined as Finance Manager and Mary Robinson as Orchard Operations Manager and in anticipation our new Trustees who will be joining us after this meeting. Carol Bode, Chair of Trustees. The BVA Group Development team had a challenging yet rewarding 2017/18, supported by some extremely valued volunteers providing information, support and guidance to local charities and community organizations. BVA continue to interact with 106 non-voluntary sector organizations by way of promotion, networking and volunteering opportunities and information sharing. Details of member and signpost organizations are reviewed regularly in order to target services effectively and relevantly. A new CRM database launched in 2017 records and analyses data in order to reflect BVA’s impact within the Borough, compile quarterly reports required by BDBC and HCC and to inform future decision making and service provision. BVA’s regular newsletter is distributed to participating organizations with updates on topics of particular relevance or current significance and electronic access to supporting materials. 2018 has found BVA committed to familiarizing ourselves and our membership with the new GRPR regulations, ensuring and enabling compliance through information sharing, forums and training sessions. Local businesses have the opportunity to sponsor our website, with their logo added to the site. Prospective sponsors are encouraged to get in touch. To donate to BVA to support ongoing costs please visit our BT Donate page: https://mydonate.bt.com/charities/basingstokevoluntaryaction. Our Voluntary Sector Forums focus on different themes of current relevance to the sector, and enable local groups and charities to be involved in shaping the priorities of Basingstoke and Deane. BVA is actively involved in various partnerships including the Health and Well Being Alliance, promoting the Basingstoke & Deane Health and Wellbeing Strategy, HCC’s Connect to Support, Social Inclusion Partnership and Older Persons Forum to name a few. We also work closely with colleagues at Action Hampshire and our “Northern Cluster” counterparts at Hart Voluntary Action and Rushmoor Voluntary Services for the benefit of our communities through smarter joint working. Improved interaction with local business has been another focus recently to enable companies to engage with Charities and Voluntary Organizations in order to fulfil corporate responsibilities. These relationships will be continuously developed, with pro-active support where required with staff volunteering, community projects or sponsorship and fundraising activities. A ‘Meet and Match’ between Business and Charity representatives is planned again this Autumn. To increase our reach in the community, BVA have been expanding local connections and strategic relations via Basingstoke Together, Destination Basingstoke and Best of Basingstoke. Our database of latest grants is updated regularly and comprises featured grants and various funding sources including no cost donation sites and crowdfunding platforms. BVA are committed to improving information delivery and grant awareness over the coming year, and exploring ways to identify and highlight successful bids by member organizations in order to better improve our targeted services, and gain insight into the needs of the local charitable community. The grants panel was comprised of the Mayor and independent members including Sainsbury’s, Asda & Tesco Community Champions and Basingstoke & Deane Rotary meeting three times during the year. Every recipient organization has been extremely grateful for the funding provided and valuable insight was gained into community needs. The team are currently also reviewing our Social Media Strategy to include Linkedin, Twitter and Instagram where beneficial. The recently launched Basingstoke Gazette ‘Charity Corner’ feature each Thursday allows us to highlight services and activities offered by our member groups and discussions with the Sainsbury and Tesco Community monthly Publication Editors will see regular charity features moving forward. Training sessions given included the popular ‘Trigger Tool’, to identify needs of older and vulnerable members of the community, finance and grant funding plus Group Health Checks in addition to occasional ‘on request’ sessions from organizations. BVA will play a more active role in the co-ordination and delivery of subsidized local community training over the coming months developing the BDBC training program. The Volunteer Centre team, supported by volunteers, work in partnership with Hart and Rushmoor via a shared website. The website is working well with 444 people registered – 68% in the 19-49 age range, 46% employed or self-employed, 939 referrals to local organisations and 143 known placements. Supporting people and befriending was the most popular role applied for. The Volunteer Centre provide an outreach session each week at Basingstoke Discovery Centre. The team also assist local organisations with recruiting volunteers, promote roles on our Facebook page (500+) likes and Twitter and are trialling promotion of skills based roles on Reach Volunteering. 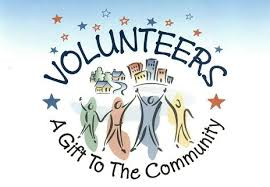 The vast majority of Charities and Voluntary Organisations locally are in need of volunteers so the team continue to promote roles plus encourage groups to register volunteer role details on the website. Preparations are underway to co-ordinate a ‘Celebration of Volunteering’ event at the Civic Offices, attended by the Mayor of Basingstoke & Deane. Groups have been requested to nominate suitable candidates to attend the event this October to recognise their work and achievements for the local community. The Social Inclusion Partnership and BVA launched this year’s campaign following its success in 2016 when thousands of pounds’ worth of money, hundreds of hours’ worth of volunteer time and boxes upon boxes of food and items donated helped make a big difference to those people sleeping on the borough’s streets. Last year the Night Light winter night shelter opened for the first time in the borough, helping 32 people who might otherwise have found themselves sleeping on the streets to take steps to secure accommodation. 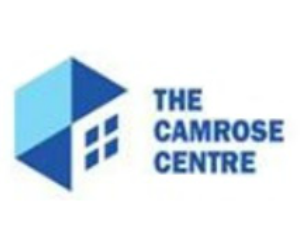 In addition, the Camrose Day Centre opened for a third day and installed a new shower room for visitors to wash during opening hours. BVA launched Real Change 2017 on the crowdfunding site Spacehive, with the ambitious target of £15,000 and achieved this target within deadline with 115 online backers and a number of collections by schools and local small businesses, community events and corporate donations. Julian House will now be able to provide storage for people who are sleeping on Basingstoke’s streets to keep their personal items safe. “Once again this year, the Real Change campaign has demonstrated the compassion and generosity of the people of Basingstoke and Deane. We are thrilled to have surpassed the target with time to spare, and it’s a real tribute to all the individuals, schools, groups, communities and companies who have shown concern and commitment by joining in with the campaign. BYC continue to provide practical and emotional support to young carers and their families, offering opportunities to enjoy and achieve like their peers. BYC is part of the HYCA (Hampshire Young Carers Alliance) partnership. 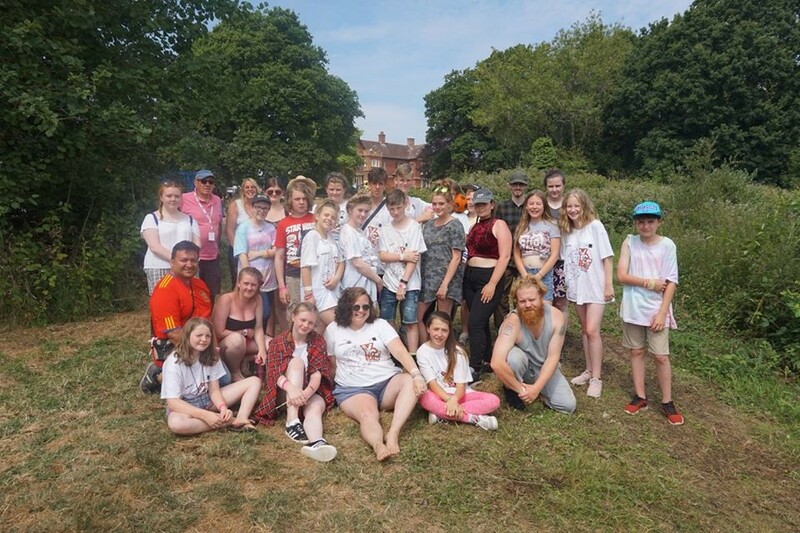 Developed by BVA, HYCA consists of 10 Young Carers organizations across Hampshire, funded by Big Lottery and HCC Children’s Services Integrated Grant funding, further generous community donations. BYC’s small core team and volunteers, have supported 274 young carers in 2017-2018, with 128 young people joining last year. 182 young carers received respite either in schools or from the weekly youth clubs, day activities and residential trips tailored to provide our young people some relief and a chance to be young. BYC has also supported 51 families to access improved support and benefits, decreasing the pressure on the young carer within the family. BYC work with schools to establish and deliver Young Carers support to 87 young carers in education. In total 110 young carers increased their wellbeing through our support. Through a partnership agreement we are supporting Hart and Rushmoor Young Carers with staff to establish their respite clubs, in-school support and family support. The young carer’s numbers have grown from 21 to 138. In January 2017, BYC became Test Valley Golf Club Charity of the Year for Basingstoke, Winchester and Andover Young Carers. £11,000 was raised, giving each group £3,800. De la Rue also selected BYC as charity of the year and raised £1600 by way of a swimming gala. Annual events included the Young Carers Festival, with 26 guests, and Hawk Conservancy Dream Night Trip. Hampshire Cultural Trust enabled us to complete a ‘Willow Project’, a sheep which can now be seen at Basing House walled garden. BYC continue to fundraise proactively throughout the year. BYC hosted our gala evening in November at the Hampshire Court Hotel, where 140 young carers and their families joined our trustees and distinguished guests. Hampshire Court Hotel kindly donated their facilities. Another year and another year of success. 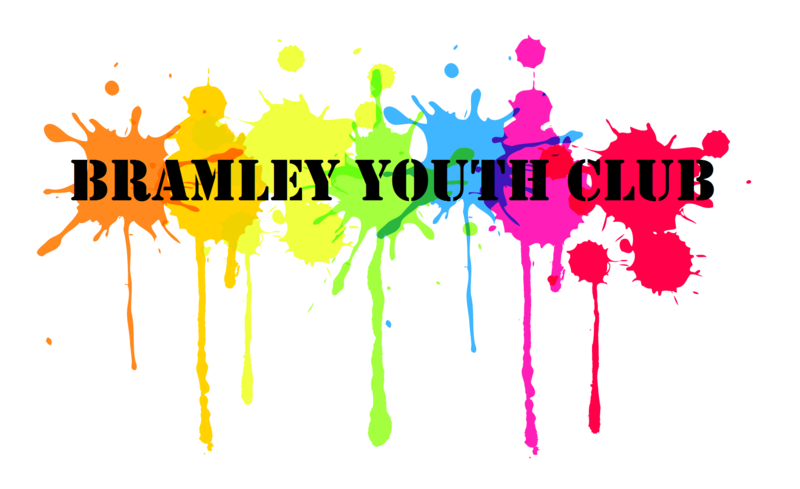 Bramley Youth Club (BrYC) is located in the centre of Bramley on Clift Meadow Park in the Brocas Hall every Thursday throughout the year. We see anywhere from 30-50 young people on a weekly basis, providing a safe, fun filled zone trusted by both the young people and their families. The youth club now accommodates those aged 8-13. We currently have 166 young people registered to the youth club, seeing on average 40 young people a week and growing in popularity since the St Georges Day Festival where we once again represented BrYC and raised £150.80. We have developed and implemented a Young Leader Programme, giving some of our older member’s responsibility and work experience to help with their own personal development, while staying within the youth club. We have increased admission fee from £1 to £2, enabling us to provide free hot and cold drinks provide free squash or hot drinks. None of this could have been achieved without the support of the Bramley Parish Council, who not only supported another year of funding for this project, but also donated additional funds towards the purchase of new equipment and resources. For more information and to see the club in full swing please head over to our Facebook page @BramleyYouthProject, which now has 136 followers. We post weekly and our communications are engaging 50-80 people each week. All of our activities are planned and publicized in advance via members and community contacts. We provide for various outdoor games, creative activities and events and celebrations. We run 48 weeks of the year and open up the summer programme to siblings, cousins, family members and friends of our young people to help generate more interest and raise additional funds during this time. Supporting and developing Young Leaders. The Camrose Centre works with clients who are homeless, vulnerably housed or socially isolated every Tuesday and Thursday in Glebe Hall, St Michaels Church, Basingstoke. The Centre provides a continuous self-service breakfast, a two-course hot lunch, warmth, shelter and a listening ear. We support clients with practical help, clothing and advice. In addition, since July 2017 the Centre has opened on Fridays for homeless people only. The Centre regularly hosts drop-in sessions during normal opening hours for BDBC Housing Officers, First Point Floating Point Services and Street Homeless Outreach Workers. Following an unannounced spot check by a BDBC Environmental Health Officer, the Camrose Centre’s catering facilities and processes at Glebe Hall had its grading increased from 4 to the maximum 5 stars. In addition to grants from BDBC, business and community donations, Camrose received funds in 2017-2018 through the Real Change community crowdfunding project, administered by BVA in partnership with BDBC and other organizations through the Social Inclusion Partnership. Income has also come from businesses like AWE and De La Rue, community groups like the Sherfield-on-Loddon Christmas tree Festival, churches across the borough, charitable trusts and hundreds of people who have donated amounts as small as £5 in cash or through the Local Giving web site which can recover gift aid. Each financial donation is of great value and much appreciated. Equally important are donations of catering supplies, rough sleepers’ food and clothing that individuals and community groups offer on a regular basis. It is unquestionably a project the community in Basingstoke and Deane has taken it to its heart. The Camrose Centre is very grateful to the BDBC ‘Have your say’ programme for a grant towards office and catering equipment. These have been essential in delivering services on a week by week basis. The Centre also managed the installation in October 2017 of a disabled accessible wet room at Glebe Hall using funding provided from the 2016 – 2017 Real Change campaign. This is the only shower freely accessible by street homeless people in Basingstoke and has proved very popular both for Camrose clients and Winter Night Shelter guests. “This Group is designed around the care needs of each individual and they will try to help with most aspects of the difficulties of the homeless and vulnerable people and is a relaxing and sociable environment.” Camrose client 8th December 2017 on Facebook. During 2017/18 the Orchard team continued to maintain good relationships with residents and hirers of our facilities. Our staff and volunteers received consistently positive feedback for their professional approach. The Residents Survey in February 2018 identified a number of priorities for the Orchard team to work on and this work will continue into the new financial year. For 2018/19 we intend to work to maximise occupancy of our office space and meeting rooms as well as commencing a programme of refurbishment and upgrade to our facilities.